The NFL season is about to begin and Chico is ready for some football. Are you? Head on down to your local store and pick up a tub with the Bandido on the label. We’ve got both Hot and Mild salsas waiting to go home and watch the games with you. If you need to find out the NFL schedule, here are a couple of helpful links. NFL.com the official schedule page. Fox Sports we like this one because you can easily get other sports info as well. Yahoo! Sports has a few extra features, like scores, and fantasy football. So you may want to check it out too. 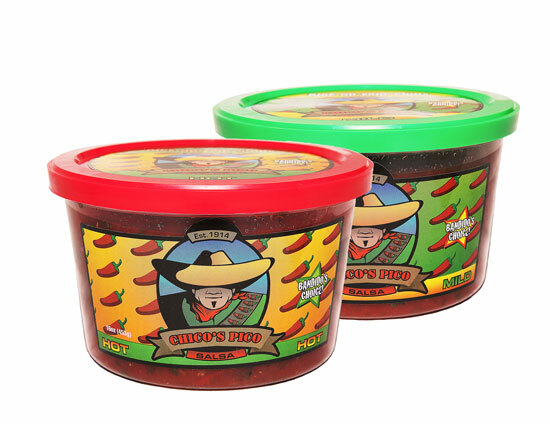 Grab a tub of Chicos Pico salsa, and kick up your chips! This entry was posted in Link and tagged Chicos, Chicospico, football, NFL, pico, salsa. Bookmark the permalink. One Response to Are you ready for some football? Your salsa is pretty good, but I wish your “hot” salsa was actually hot. There’s salsa at Taco bell that is spicier than your salsa. Consider making a spicy salsa so my family doesn’t have to add hot sauce to it so we can enjoy it better. You could also update your web page; it’s pretty old. And when I click on Contact Us, it says “Internal server error.” That’s OK, as I’m sure my comments will never be read anyway.